Effective October 1, 2009, Connecticut Full or Provisional (Certificate of Employability) will be available to individuals who are no longer on probation or parole. 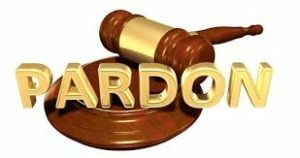 The act authorizes the Board of Pardons and Paroles to issue provisional pardons to remove certain barriers or forfeitures to offenders obtaining employment or an occupational license due to the conviction of crimes named in the provisional pardon (Certificate of Employability). The act allows the board to issue a provisional pardon (Certificate of Employability) any time after sentencing to a person who applies for one or who is under the board’s jurisdiction if (1) the person was convicted of a crime in Connecticut or another jurisdiction and resides in the state and (2) the relief in the provisional pardon may promote the public policy of rehabilitating ex-offenders through employment and is consistent with the public’s interest in safety and protecting property. Download the English Version of the Certificate of Employability by clicking here.